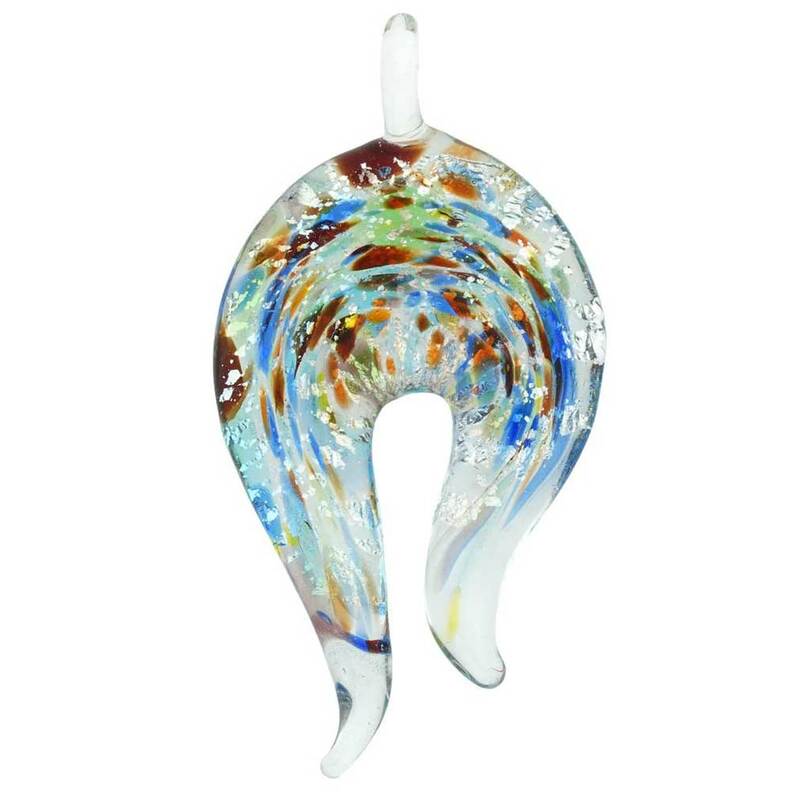 This artfully designed pendant featuring the splash of vivid colors contained within translucent glass reminds of the impressionist artists' brushstrokes that merge to create an incredible painting. The vivid palette of colors together with the exquisite shape of the pendant and the transparency of the glass showcases the signature combination of the skill and uncompromising taste of Murano glassmakers and will add a modern artistic accent to any clothing style. The pendant measures 2.5 inches in height and 1.5 inches in width in its widest part. The Kaleidoscope horseshoe pendant is a part of Kaleidoscope Collection. 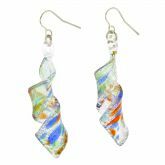 Kaleidoscope Collection presents the fireworks of vibrant colors within delicate translucent glass that attracts one's gaze in the same magical way as the ever-changing colorful patterns within a kaleidoscope do. Each accessory in this collection is a perfect complement to any outfit from casual jeans to an elegant evening gown and will help you to make an unforgettable impression of style and sophistication. Combine several pieces in a set to ensure a coordinated look. Each item comes with an attractive velvet pouch and a certificate of authenticity.